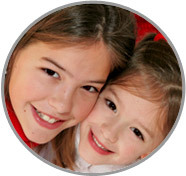 No other Lebanon County PA Nanny Agencies offer the one year guarantee that ABC Nanny Source does! Call today to learn more! Families looking for loving and caring nannies through ABC’s Lebanon County PA Nanny Agencies will love nannies like Shirley, whose love and devotion to children shows every day.